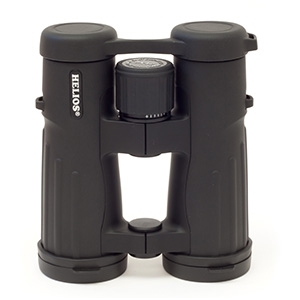 Helios Ultrasport 8x42 are compact roof-prism binoculars with superb optical clarity. Nitrogen filled, the Helios Ultrasport remain fog free and waterproof in cold, damp conditions. 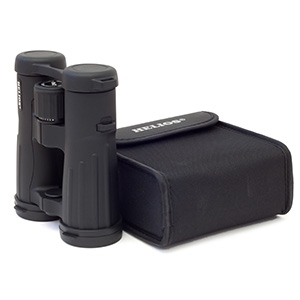 The rubber armoured body makes the Ultrasport binoculars solid and easy to hold. 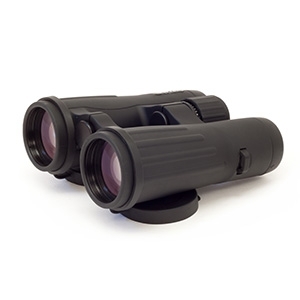 Views through them are clear and bright with fine focus control from the centre focusing wheel and the field of view is excellent. 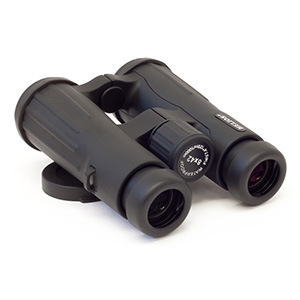 Twist-up eyecups allow adjustable eye relief for users who wear glasses and we've found them to be very easy and quick to use - dioptre adjustment for the right eye is integrated into the centre focus wheel should it be required. Included: Padded carry case, lens caps, strap & cleaning cloth.